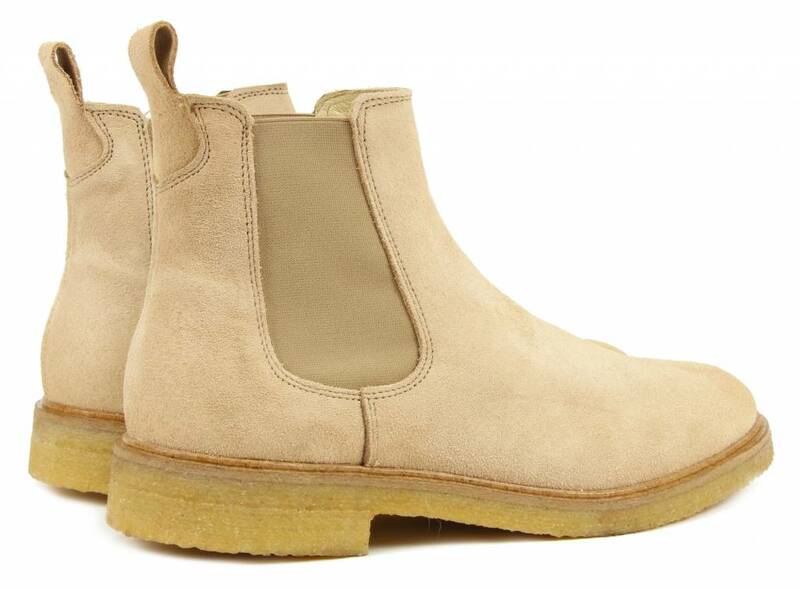 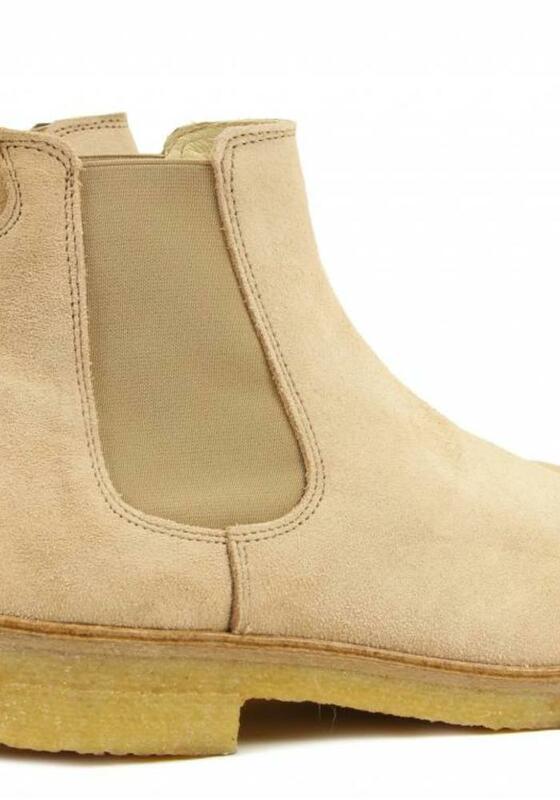 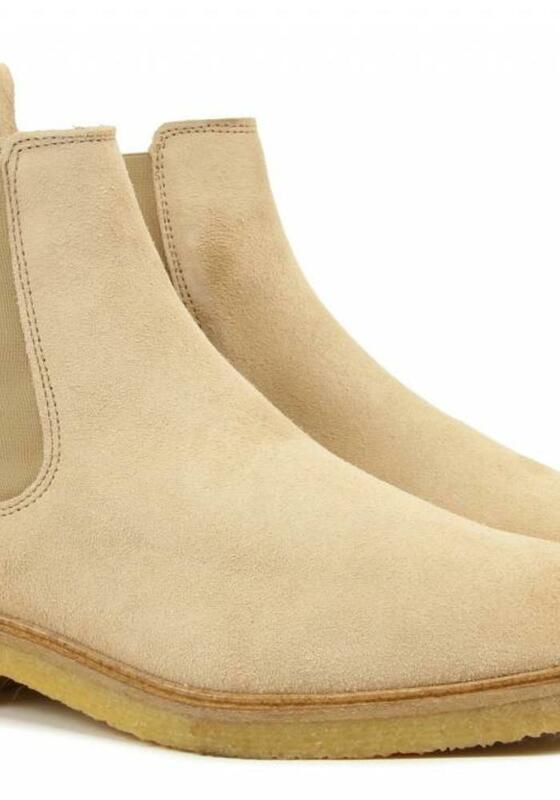 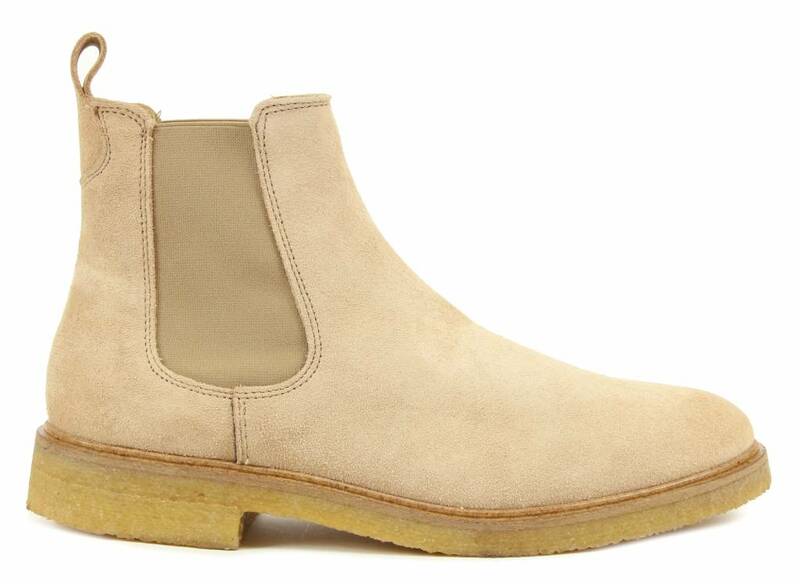 The Goosecraft Chet Chelsea boots are made of suede, the inside is lined with soft leather. 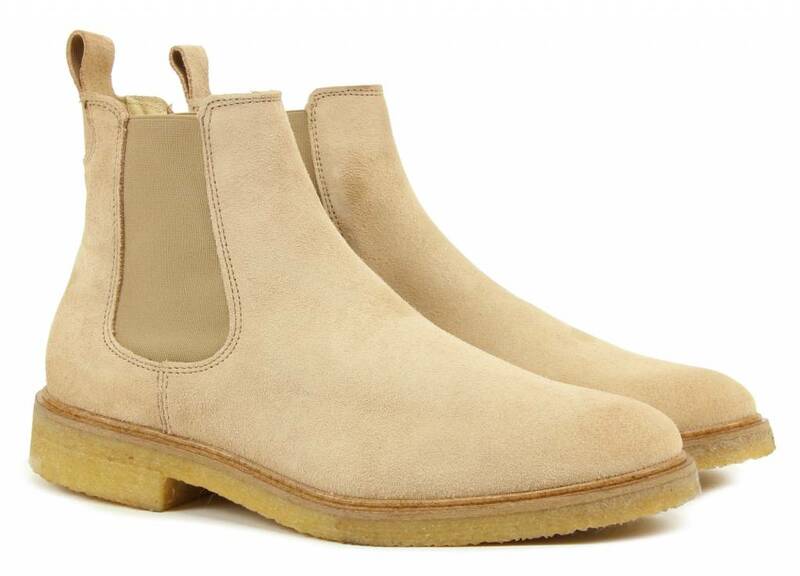 The thick crepe outer soles are made of natural rubber and give these Chelsea boots a robust look. 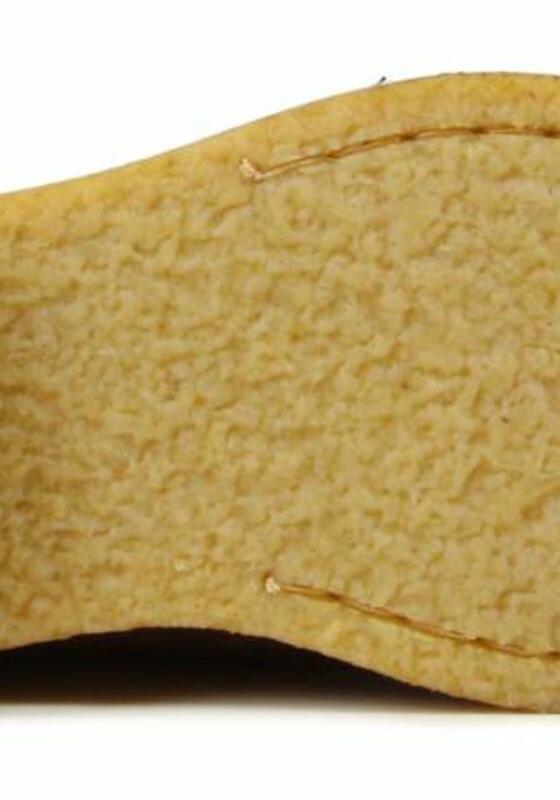 The soles are fully stitched. 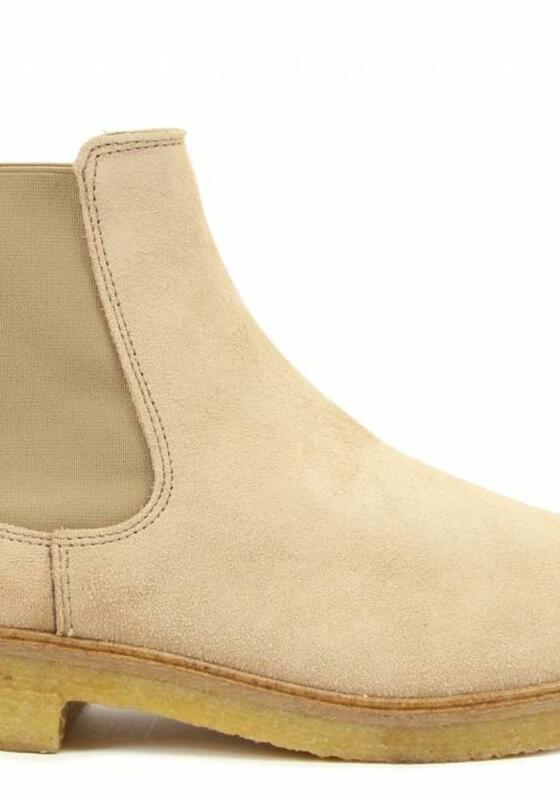 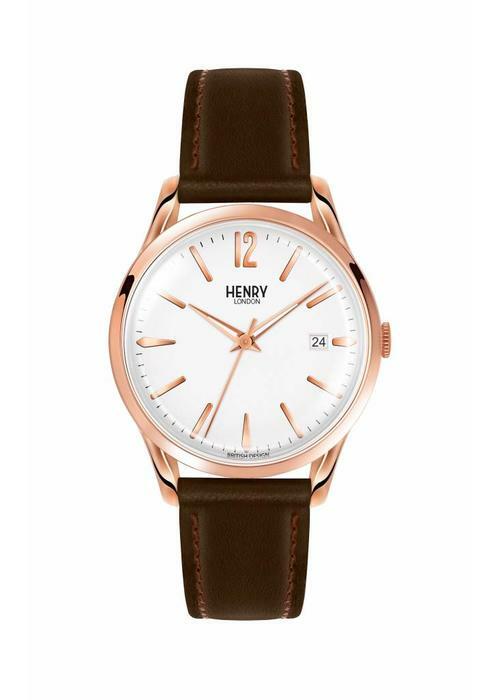 The light sand color is perfect for spring and is easy to wear with a lot of styles.